Gridwall waterfall 6-ball faceout is a great display for multiple hangers with clothes. Multi-use makes this faceout most popular display. Square tubing. 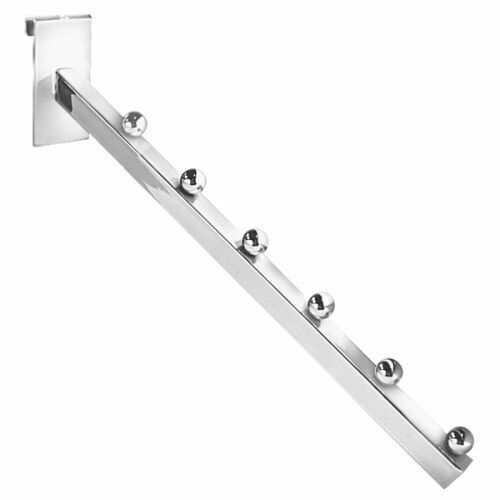 Price: $2.95ea Item #: GW6B Colors: black, white, chrome. Case quantity: 25 pcs (any quantity can be ordered, broken box fee will apply).